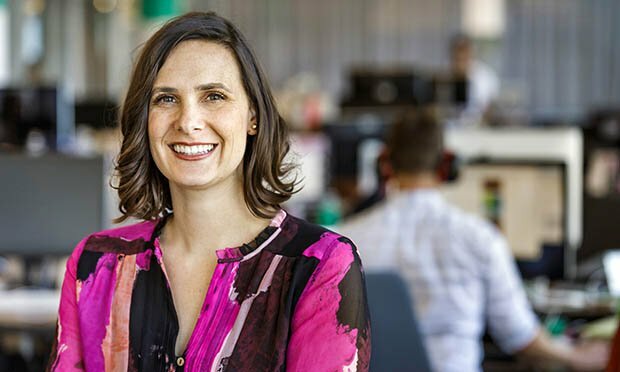 Women Leaders in Tech Law 2018: Kristin Sverchek, Lyft, Inc.
WIth the growth of Lyft's legal department and its merger with the company's compliance team, Sverchek is now essentially running a small law firm in-house. 'I’ve had to flex my management muscle, which is a very different skill set than being a lawyer' she says. Kristin Sverchek, the general counsel of Lyft, Inc. integrated the ride-sharing company’s compliance and legal teams in December, an effort that placed a renewed focus on compliance within the company. She got the task done just a few months after returning from maternity leave. Name a lawyer whose work you admire and why. Ruth Bader Ginsburg. From her start with the [American Civil Liberties Union] to her tenure on SCOTUS, she’s the paradigm of a leader in law. Name an important opportunity you got early in your career and what you did with it. I was first introduced to our co-founders while representing their investors as a transactional lawyer during their Zimride days. I then represented the company as its outside counsel. John [Zimmer] and Logan [Green] were impressed during our interactions and asked me to move in-house and take over the GC role at Lyft. I agreed—that was 2012. Taking that leap of faith almost six years ago has propelled me to where I am today. Make sure you love your job so you feel good every morning when you walk outside your front door (especially when you are leaving behind crying children). Remain calm. Those who can weather the storm will make it to the other side. In 50 words or less, how far has the tech industry gone toward tackling its gender gap since you started practicing? Unfortunately, I’m not sure the tech industry itself has made major strides in the gender gap. I am heartened, however, by the #MeToo movement and renewed national dialogue around sexual harassment issues (both in and out of the workplace). What’s the best part about working in the tech sector? The fact that there is never a dull moment! While it can be exhausting, the fast pace and constant challenges keep the job exciting year after year. With the legal team’s growth, I’m now running a small law firm in-house. I’ve had to flex my management muscle, which is a very different skill set than being a lawyer. What piece of advice do you give to lawyers considering a career in tech law? Be prepared to think creatively. Business partners need you to come to the table with a solutions-oriented approach. What’s one way technology has made your life easier? The Lyft app gets me where I need to go! One way it’s made your life more difficult? The ability to always be connected is a double-edged sword. It’s hard to disappear for even a few hours at a time. What’s one way you’ve had to change your thinking toward practicing law to succeed in-house at a technology company? I’ve learned that you have to bring people along on the journey with you when explaining your proposed solution to a tough problem. When working with in-house clients, you can’t assume a base of legal knowledge, so you need to be prepared to answer lots (and lots) of questions. What’s one area of technology that you’re most excited about and why? Autonomous vehicles, of course! They have the potential to totally transform our cities, as we can reimagine urban design when cities are no longer built around cars. "I realized long ago that I was meant to advocate for and protect innovation and innovators," says Shyr. "The law is a means to that end." The Federal Aviation Administration announced Tuesday Google's drone delivery subsidiary Wing Aviation is cleared for commercial use, making it the first delivery drone service to be awarded air carrier certification.